Time for a ridiculous breakfast! 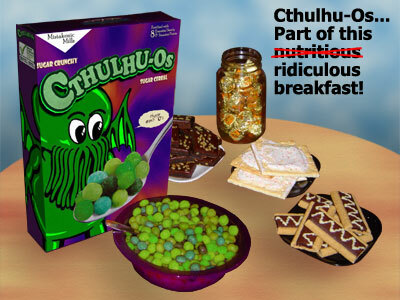 No sooner than 10 a.m.
Bring your favorite unwholesome breakfast food! Followed by a game of Arkham Horror! If you'd like to play, please reserve a game slot here. But if you just want to visit for our ridiculous breakfast, that's fine too. Call me at 548-6134 to gain access through the gates.